Viktor Orbán gave his twentieth annual state of the nation address this Sunday, but he made no mention of the corruption scandal engulfing his son-in-law, István Tiborcz, and tens of millions in EU funds that may have to be refunded. 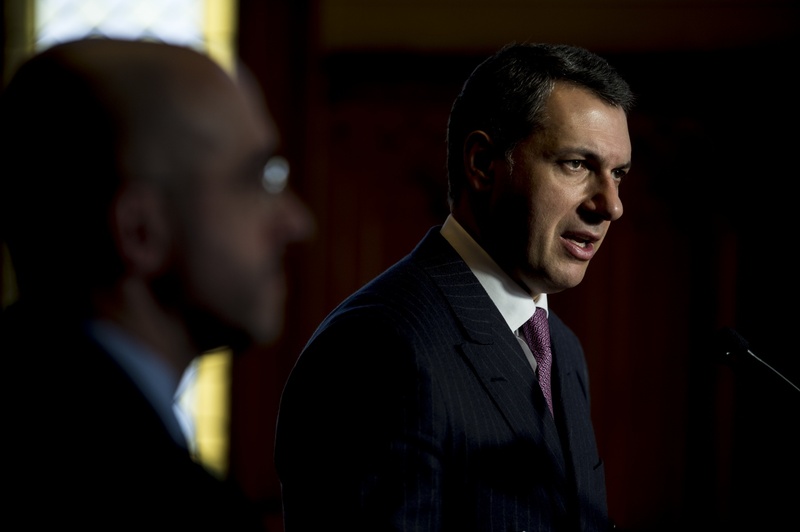 According to separate party sources speaking to the conservative Magyar Nemzet and Jobbik’s Alfahír, János Lázár, Minister of the Prime Minister’s Office, may be painted as the lone culprit and Mr. Tiborcz as a hapless victim. Mr. Lázár is the most powerful minister in the Orbán government and his name had previously surfaced as a future successor to Mr. Orbán, should the current prime minister retire or, as appeared likely a couple of years ago, assume the currently ceremonial role of the presidency. According to both Magyar Nemzet and Alfahír, an internal war is unfolding in Fidesz over the Elios scandal. One of the sources remarked that Mr. Lázár is speaking with increasingly frequency in private circles about the possibility that the ruling family will throw him under the bus, in order to deal with the most serious corruption scandal of the current government. This narrative is bolstered by the fact that the editor of the pro-Fidesz online publication PestiSrácok appeared on an ATV talk show and suggested that Mr. Lázár may be engaged in “intrigue” and conspiracies. The editor, Gergely Huth, argued that Mr. Tiborcz was not a decision-maker in the Elios scandal, particularly in terms of a problematic contract to improve lighting in Mr. Lázár’s hometown of Hódmezővásárhely, where the minister once served as mayor. According to this line of argument, Mr. Lázár is trying to deflect responsibility for the scandalous contract by implicating Mr. Tiborcz, when he himself is primarily responsible. Originally, Fidesz tried to pass the blame onto former Fidesz oligarch and Viktor Orbán’s former college roommate and previous friend, Lajos Simicska, whose business interests were also implicated in the scandal. In fact, the government proposed that if Hungary is forced to pay back tens of millions in EU funds, they would pass on the bill to Mr. Simicska. According to Alfahír, most people in the ruling party no longer see this as a realistic strategy to deal with a corruption scandal that is staying stubbornly in the headlines. The EU’s anti-fraud department, OLAF, recommended that Hungary be forced to pay back some 13 billion forints (or more than 43 million euros) in EU funds, after it discovered that Elios appeared to win, by default, 17 out of 35 tenders between 2013 and 2015, at a time when the firm belonged to the business interests of Mr. Orbán’ son-in-law. The first Elios contract was for public lighting in Mr. Lázár’s hometown. A proper tender process was not followed and this first project served as the jumping board for future contracts won by the firm. This initial project had a price tag of 940 million forints. Mr. Lázár has long been considered in government circles as a viable successor to Mr. Orbán and his workaholic tendencies are well-known by political observers. Reportedly, he is known to keep 15 hour work days. Most importantly, Mr. Lázár has been strategic in building his name recognition and reputation, particularly through a greater focus on his web presence than any Hungarian politician other than the prime minister, and by sharing light personal information about his family life and hobbies, making him more relatable. In the past weeks, there were rumours that Mr. Lázár may be looking to distance himself from front-line national politics after the April elections, and might look to further build his name locally, as an MP. This might be a way for him to differentiate himself from a third consecutive term of rule by Viktor Orbán, in case there is a desire for a new face in the coming years. But if he does, indeed, become the fall-guy for the Elios corruption scandal, these hopes will likely be dashed and his fall will ensure that there is no viable successor within Fidesz to the prime minister. On a small scale, many people surveyed in Hungary do think that corruption is a big problem in the country. Without good governance, without functioning transparent public services equally accessible to all, giving gifts or money is often the only way people can obtain building permits, court decisions and so on. The Hungarian government doesn’t lead Hungarian society; it REFLECTS Hungarian society. If people in government are corrupt, it is because this corruption, this way of thinking is pervasive throughout the Hungarian society. Making a show of attacking corruption by exposing a few corrupt Orbán/Lázárs characters will not stop a corrupt system in Hungary while other government officials continue with corrupt practices in their daily lives. Corruption will never be eliminated in the Hungarian government until it is first eliminated in Hungarian society. – We spoke with Tiborcz and thought out together this solution..
– Everything was investigated and found OK, it’s only Bruxelles campaigning against Orbán. Whichever way we look at it, the money trail leads to Tiborcz/Orban : he pocketed 3,5 billion from the Elios scheme. Capisi? 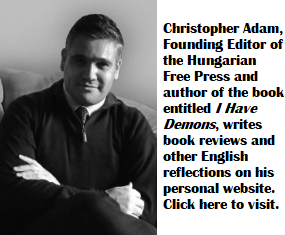 The political culture that bore the most recent bitter fruit for Hungary – Orbán’s Mafia State – was ably described by the poet Endre Ady at the turn of the 20th century, then by the writer Sándor Márai or the country’s greatest political scientist, István Bibó after WWII. The Tiborcz case is simply cherry picking. Orbán, like his Russian puppet master, planted an entire forest in Hungary, that needs to be uprooted before anything positive can happen in that country. All we can do here is to make sure the pollen from his orchard is not carried by the wind, and by the likes of Belzebub, and other trolls, into our own backyard.